Unless the shipping companies and crew comply fully with rules on reducing marine plastic litter from vessels, the quantity of plastics in the oceans will outweigh fishes by 2050. The International Maritime Organisation (IMO), said it had received warnings from some scientists on the huge problem in the oceans, and its future impacts on environment. To guard against this, the IMO has, therefore, adopted an action plan, which aims to enhance existing regulations, and introduce new supporting measures to reduce marine plastic litter from ships. According to another study, 5.25 million plastic particles, weighing 268,940 tonnes in total, are currently floating in the world’s oceans. However, IMO’s action plan stipulates actions to be completed by 2025, which relate to all ships, including fishing vessels. The concrete measures and details will be further considered by MEPC 74. The reduction measures being targeted on behalf of the shipping industry include a review of the application of placards, garbage management plans and garbage record-keeping in MARPOL Annex V.
It is also being proposed to establish compulsory mechanism to declare loss of containers and identify the number of losses; and consider ways to communicate location of containers lost overboard. 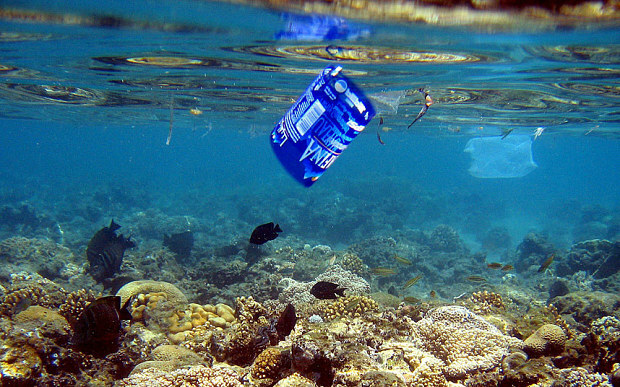 Dumping plastics into the sea is already prohibited under regulation for the prevention of pollution by garbage from ships in the International Convention for the Prevention of Pollution from Ships (MARPOL), which also obliges governments to ensure adequate port reception facilities to receive ship waste. However, studies demonstrate that despite the existing regulatory framework to prevent marine plastic litter from ships, discharges into the sea continue to occur. Marine litter has a substantial harmful effect on the marine life, and it can also pose dangers to shipping. Specific identified measures in the action plan also include: a proposed study on marine plastic litter from ships; looking into the availability and adequacy of port reception facilities; consideration of making marking of fishing gear mandatory, in cooperation with the Food and Agriculture Organization (FAO); promoting reporting the loss of fishing gear. Others are: facilitating the delivery of retrieved fishing gear to shore facilities; reviewing provisions related to the training of fishing vessel personnel and familiarization of seafarers to ensure awareness of the impact of marine plastic litter; enhancing public awareness; and strengthening international cooperation, in particular FAO and UN Environment.